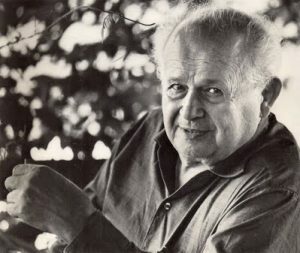 The Feldenkrais Method is named after its founder, Moshe Feldenkrais. He was born into a Jewish family in the Ukraine in 1904 and died in Israel in 1984. In between he lived a vigorous life. His first name is pronounced as though it were French: Moshé. His last name rhymes with rice. 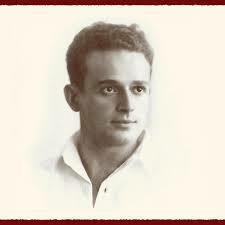 Throughout his life Feldenkrais was interested in the experience of strength, or fitness for life. He learned early on that muscular strength is not sufficient in itself. There is something much deeper that has to be developed. He arrived at the understanding that what is needed is awareness. Although the Feldenkrais Method is good for everyone, most people who come to us are in pain. Commonly, pain is treated by a medical specialist, who is covered by insurance. Feldenkrais, however, is not medicine but a training system, and it is not covered by insurance. If you have a flexible medical spending account, though, paperwork will be provided, and you will most likely be reimbursed. Feldenkrais professionals are identified as teachers or Practitioners. The people who use the service are students or clients. There are two ways to participate: Individual Sessions, historically called lessons in Functional Integration (FI) and Group Classes, historically called classes in Awareness through Movement (ATM). Who can benefit from Feldenkrais? The Feldenkrais Method is good for everyone. But you will get the most benefit when you feel that you enjoy attentive movement, are fascinated by how the body works, are willing to work patiently, and are interested in the relationship between body, mind, emotion and spirit.